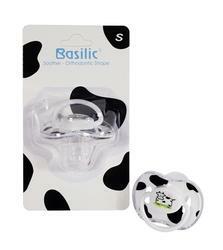 Two holes of the innivative shield prevent saliva gathering and avoid skin irritation. Complies with F.D.A standard. The teat is made of silicone which is nontoxic and heatproof.